On June 19th of this year mine and my sweet husband’s whole world changed when we welcomed our precious son, Lawrence Maximilian (“Max”), into the world. Being parents has been such a joy and privilege that we humbly accept as a gift from God, and it is certainly a venture that we’ve learned requires MUCH grace every single day. 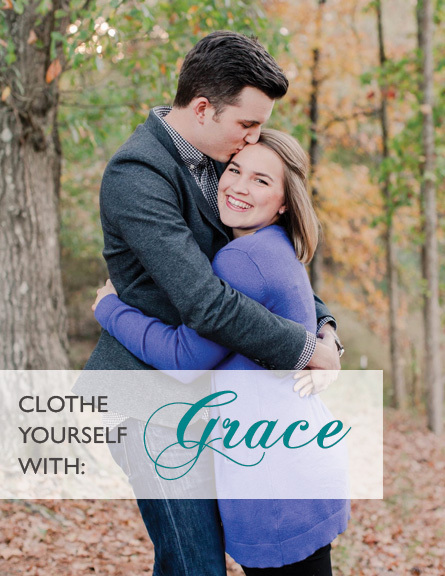 With this said, through these first few weeks of parenthood, I have seen even more clearly than before the need to constantly clothe myself with grace. When you think about pregnancy and welcoming a new baby into the world, you can’t help but be filled with so much joy and excitement about what a new venture like this will bring to your family. You can even see how gracious the Lord is to give our hearts and minds 9 months to help prepare for all of the emotions, change, and times to come with this new bundle of joy. I was absolutely thrilled when I found out I was pregnant. So much so that I told my husband through sending a picture (with shaky hands) of the positive test in a text message because I just was not thinking straight! So many emotions were running through my mind that day and I remember it all so well. I was wondering things like: what it would be like to carry this child for the next several months, how would I best demonstrate the Gospel to this child on a daily basis, what would it look like for Ross and I to be parents, and so many other things. I’ve been an aunt for several years now and was a nanny throughout college, and although these things definitely give you a small glimpse into what motherhood will be like, there is nothing quite like having one of your own. 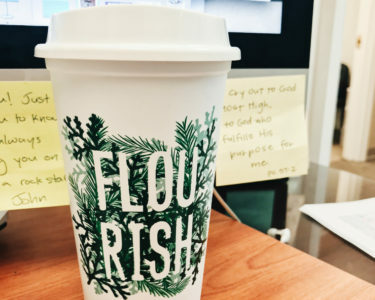 From just a few weeks of motherhood, I have quickly realized that there are so many things about being a mom that require showing yourself grace over and over again. I’ve seen that when I fail to do so, I end up in the comparison trap or feeling like a failure because things aren’t going exactly as I wanted or planned. I think most people have something in mind for what their parenting should result in, and we even expect our infants to react the way we want them to from birth. Just a couple of examples would be having a child that sleeps through the night at just a couple of weeks old, or a child with a consistent daily routine that is never messed with, or a baby that never cries in public, the list could go on forever. While there is nothing inherently wrong with wanting these things, it is very easy to slip into the trap of wanting to be perfect and feel like you’ve got it all together that perfection can quickly become an idol. Max is only a couple of weeks old now and I have already been so hard on myself to “get it all right” that I have easily lost sight of what’s truly most important every day — showing him that I have a constant need for grace and the Gospel. Even at this young age, the most important thing that Max could ever see in me is that I am not superwoman or a mommy that never messes up, but rather I am a sinner in desperate need of a Savior and God’s grace every single hour of every single day. This is what I see as part of God’s grace to us in parenting — dying to self and the need to do everything perfectly, with the hope that our little one might see a glimpse of His grace shining through. Lord willing and by God’s grace alone, Max will see that I am not perfect but that I strive to always look to the One who is perfect (1 John 3:5) and who has shown me grace in my constant imperfections. As a believer in Christ I know that perfection has never been something that I have been called to attain, and in the early weeks of parenthood I was really struggling to see this. I was not relying on the promises in God’s Word that tell me He will provide my every need (Philippians 4:19) and that He is (and has always been) sovereign over this little life since before he was even conceived (Psalm 22:10). I am so thankful that God, through the words and encouragement of friends and family, has redirected my focus to my constant need for grace in Him. I can rest assured knowing that my sin and imperfections can be used for His glory because I am trusting in and seeking to point our sweet son towards Christ’s work on the cross that covers all sin and imperfections. As an encouragement to other parents and with much grace, cherish those middle of the night and early morning feedings with your baby, enjoy the flexibility of being a new parent and learning your sweet little one, and give thanks to God at all times for entrusting you with this little life. The Lord allows us to give ourselves and our children grace through these things.